Egesi A, Spicknall K. “Palisaded and Neutrophilic Granulomatous Dermatitis Secondary to Etanercept”. American Society of Dermatopathology Case Study. November 2014. Egesi A, Davis M. “Irritant Contact Dermatitis due to Nasal CPAP: 2 Case Reports and Review of the Literature”. Cutis.2012 Sep;90(3):125-8. PMID: 23094310. Egesi A, Rashid R. “Hair in the Middle Phalanges: Clinical and Anthropological Significance.” Journal of Cosmetic Dermatology. 2010 Dec;9(4):325-30. PMID: 21122054. Egesi A, Sun G, Khachemoune A, Rashid R. “Statins in skin: re-search and re-discovery, from psoriasis to sclerosis.” Journal of Drugs in Dermatology. 2010 Aug;9(8):921-7. PMID: 20684142. Ogugua C, Savel R, Keene A, Egesi A, Eisen L. “Prevention of catastrophic outcomes in systemic bupivacaine toxicity: early recognition and aggressive management.” Chest. 2009; 136:38S-e-39S. Egesi A. Multiple Fungating Exophytic Nodules Secondary to Metastatic Spiradenocarcinoma with Direct Spinal Cord Invasion. Gross and Microscopic Oral Presentation for American Academy of Dermatology. Denver, Colorado. March 2014. Egesi A. Structure and Function of Elastin and Its Related Disorders. University of Cincinnati Dermatology Grand Rounds. Cincinnati, Ohio. November 2013. Egesi A. Quality Improvement: Assessing appropriate work-up in patients with hirsutism. University of Cincinnati Dermatology Grand Rounds. Cincinnati, Ohio. June 2013. Egesi A. The Allergy Cell of the Skin and Its related disorders. University of Cincinnati Dermatology Grand Rounds. Cincinnati, Ohio. April 2013. Egesi A. Multiple Violaceous Skin Nodules. Gross and Microscopic Oral Presentation for American Academy of Dermatology. Miami, Florida. March 2013. Egesi A. The Attraction of Chemokines in Cutaneous T cell Lymphoma. University of Cincinnati Dermatology Grand Rounds. Cincinnati, Ohio. June 2012. Egesi A, George D. Epidermal Nevus Syndrome. 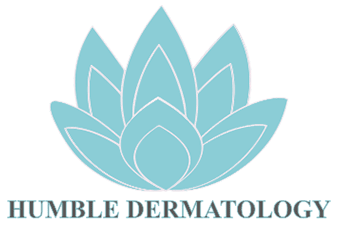 Houston Dermatological Society. Houston, TX. September 2009. Egesi A. Dissecting Cellulitis. Mayo Clinic Grand Rounds. Rochester, Minnesota. August 2009. Egesi A, Spicknall K. “Heart-Shaped Hair Shaft in Uncombable Hair Syndrome: A New Finding on Scanning Electron Microscopy”. American Society of Dermatopathology. November 2014. Egesi A, Spicknall K. “Extensive Genital Porokeratosis”. International Society of Dermatopathology. Denver, Colorado. March 2014. Egesi A, Spicknall K. “Granuloma Annulare with Mid Dermal Elastolysis”. Ohio Dermatological Association. Columbus, Ohio. October 2013. Egesi A, Ingraffea A. “Metastatic Diffuse Large B cell Lymphoma”. Orlando Aesthetic and Clinical Dermatology. Orlando, Florida. January 2013. Egesi A, Hughes M. “Disseminated Nocardiosis mimicking Herpes Zoster.” JK Alexander Research Symposium, 2010. Ogugua C, Savel R, Keene A, Egesi A, Eisen L. “Prevention of catastrophic outcomes in systemic bupivacaine toxicity: early recognition and aggressive management.” American College of Chest, 2009.